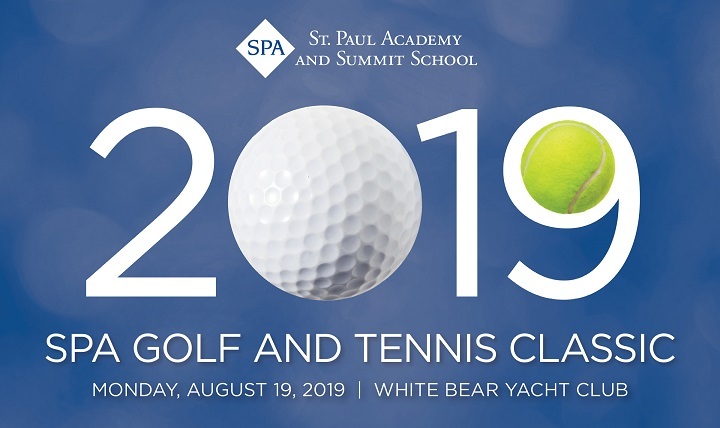 You are cordially invited to a day of golf, tennis, and dinner with the SPA community at White Bear Yacht Club. This is a great chance to get together with fellow parents, friends, and classmates for an afternoon of golf and tennis, and an evening of cocktails and dinner. Golf (includes lunch and dinner): $200 includes green fees, cart, prizes, lunch, reception with cash bar, and dinner. Young Alumni/ae Golf (includes lunch and dinner): $150 for alumni/ae from the classes of 2004 to 2019. Tennis (includes dinner): $75 includes tennis, balls, reception with cash bar, and dinner. Reception/Dinner Only: $60 includes reception with cash bar and dinner. All event sponsors will be recognized at the event for their contributions. Sponsorships are tax-deductible contributions and provide for the widest possible participation of parents, alumni/ae, faculty, and staff. We regret that we cannot offer a rain date for this event, and rain checks will not be issued if play is canceled due to inclement weather. If golf and/or tennis events are canceled, both the reception and dinner will still be held at the scheduled time. Thank you for your understanding.